The church of 4×4 is for all 4×4 drivers, so we can worship our cars, clean, repair, polish, buy them plenty of bits and take them out whenever the calling takes us. 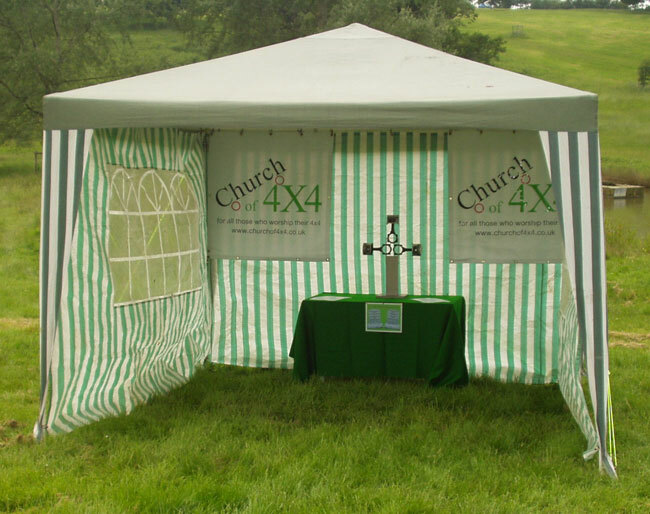 Join the church of 4×4. There are no collections, or long Sunday sermons, so, if anyone asks if you are a regular church attender, you can say “yes”. Hopefully, I can get some offroad sites to let us have a meeting on them at reasonable rates. I will email all members of any meetings I can arrange. When available a windscreen logo will be available to members at meetings, or by post. Please read our 10 Commandments, as handed to me on tablets just recently. All registered members are able to instant chat online while they are browsing the website. They also get their own personal photo gallery to show off their 4×4.